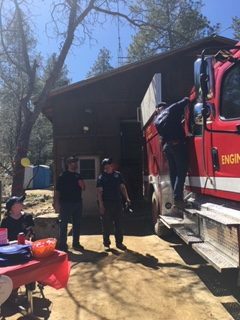 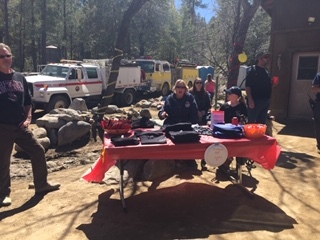 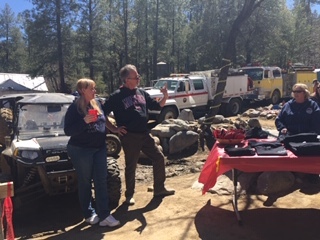 On Saturday, March 30th, the Crown King Volunteer Fire Department hosted an Open House to show off their brand new Type Three Fire Apparatus. 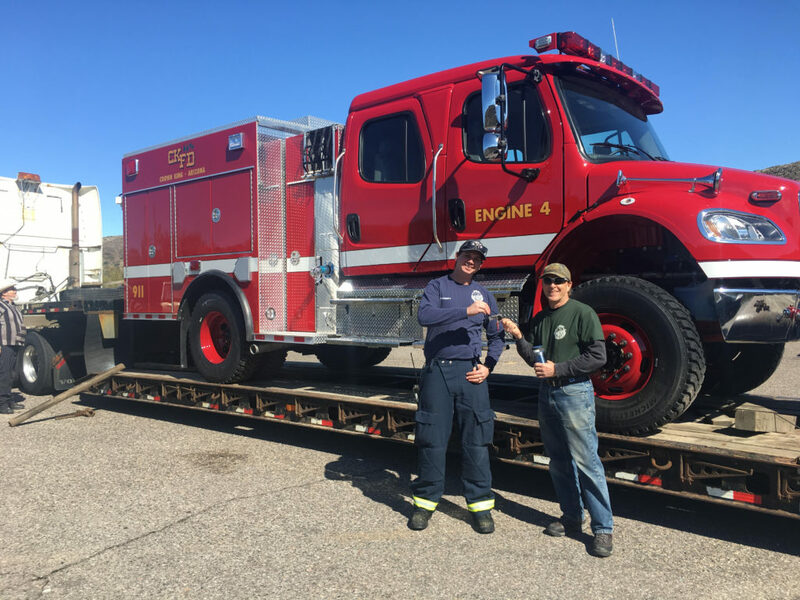 In case you are wondering what that is, below is a photo of the custom designed truck when Chief Ian Dougherty & CKFD Board Member, Ben Boles, took delivery. 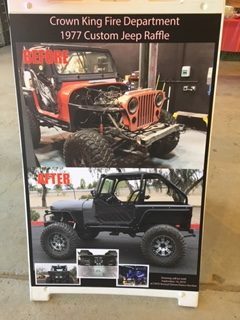 The transport company took great care to keep the chrome shiny and the truck looking sharp. 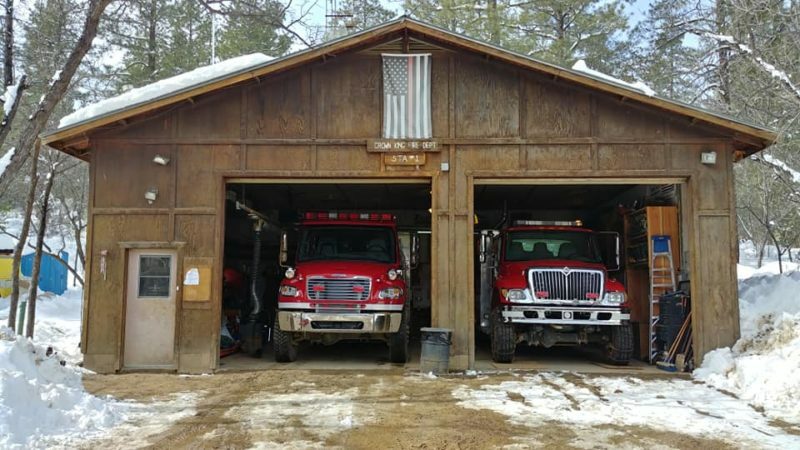 The muddy & snowy Crown King road soon changed all that. 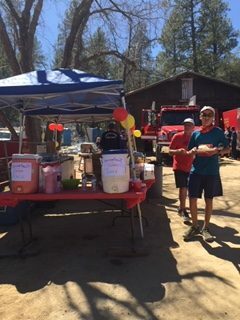 Chief Dougherty, along with his Crew and Volunteers, welcomed many guests at the Open House. 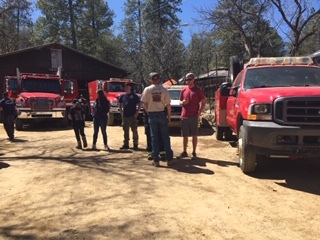 It was an opportunity to tour the station and learn what CKFD has planned for the coming year. 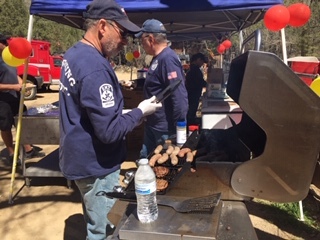 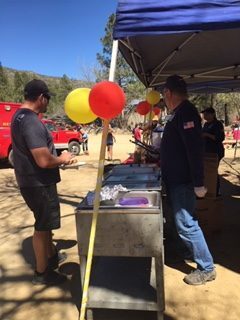 CKFD served lunch to their guests, who included many visitors to Crown King. 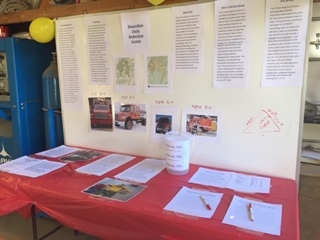 Below are some photos of the Open House.